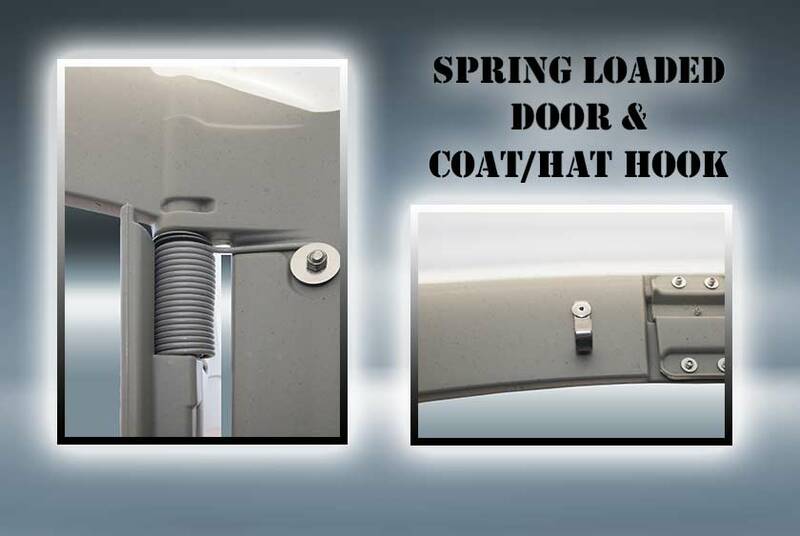 Add-ons continue with a coat and hat hook, and an interior mirror. The ﬂoor and ceiling vents deliver excellent airﬂow. The BEACHHEAD Restroom has a translucent white roof for bright natural light plus a battery-operated interior light for nighttime events. The smooth interior surfaces wipe easily clean and will not absorb any odors. 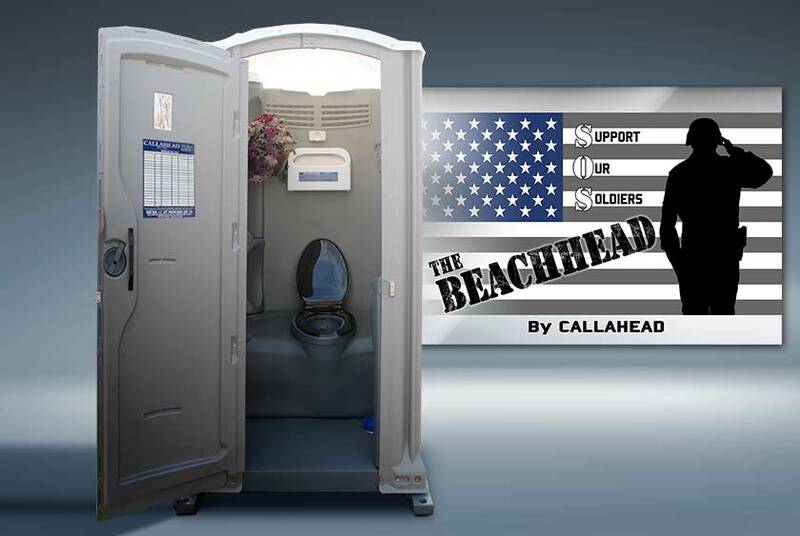 CALLAHEAD’s BEACHHEAD Restroom is available for delivery for short-term rental in New York’s five boroughs of Queens, Brooklyn, Staten Island, Manhattan, the Bronx and all of Westchester, Nassau, and Suffolk Counties. The BEACHHEAD is a full service porta potty delivered to your location by a CALLAHEAD professional uniformed delivery specialist. 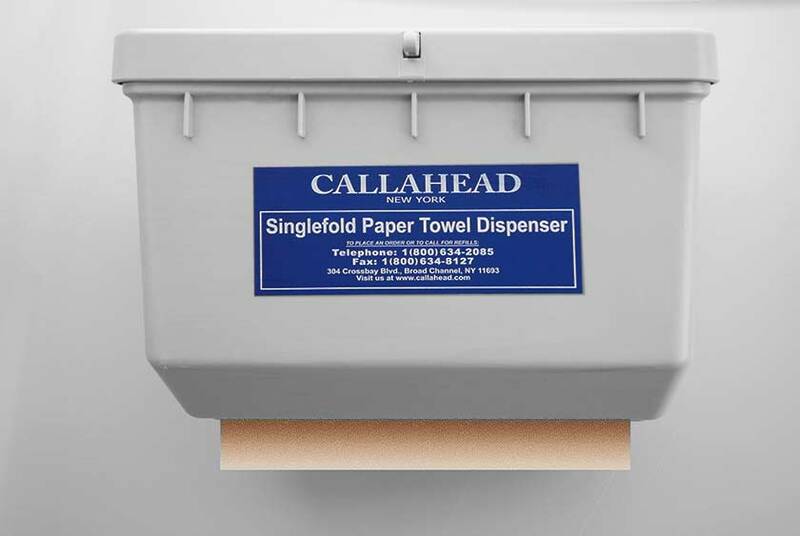 Since 1976 CALLAHEAD has invented and designed more for the portable sanitation industry than any other company in our field. We stay committed to delivering the best portable restrooms in every CALLAHEAD rental. We also take pride in having the largest variety for every customer to have the best option for their event and budget. From standard to extraordinary and everything in-between, CALLAHEAD has the perfect restroom option for any portable sanitation need. 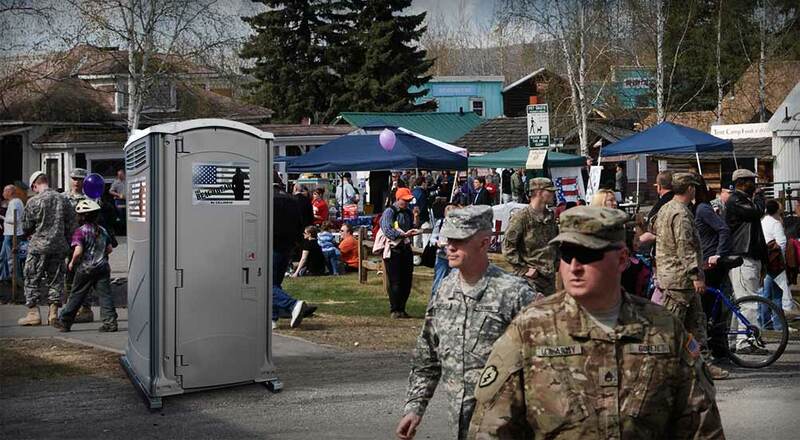 Do not take chances on portable bathrooms for your family and friends. Let CALLAHEAD’s decades of experience, and dedication help you have stress-free bathroom facilities for a successful event. The BEACHHEAD Restroom is the feel great, look great portable toilet that guarantees to deliver the best bathroom experience for your guests. 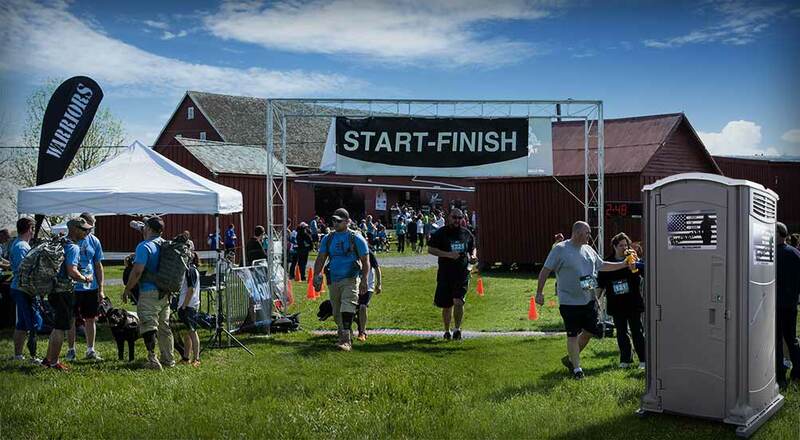 The BEACHHEAD Restroom is a great rental for just about any special event such as bachelor parties, marathons, charity events, graduations, homecomings, family gatherings or any event in need of extra restroom facilities and portable toilets. On top of all the extras, the BEACHHEAD Restroom promises to donate 20% of all proceeds to charities supporting our military and veterans. For added convenience, we are pleased to offer as an additional rental option our professional uniformed restroom attendant with your BEACHHEAD Restroom portable toilet rental. CALLAHEAD’s additional rental options for all of our portable restrooms and portable restroom trailer rentals were selected to provide your guests the same comforts as if they were using an indoor bathroom of great catering halls or five-star hotels. 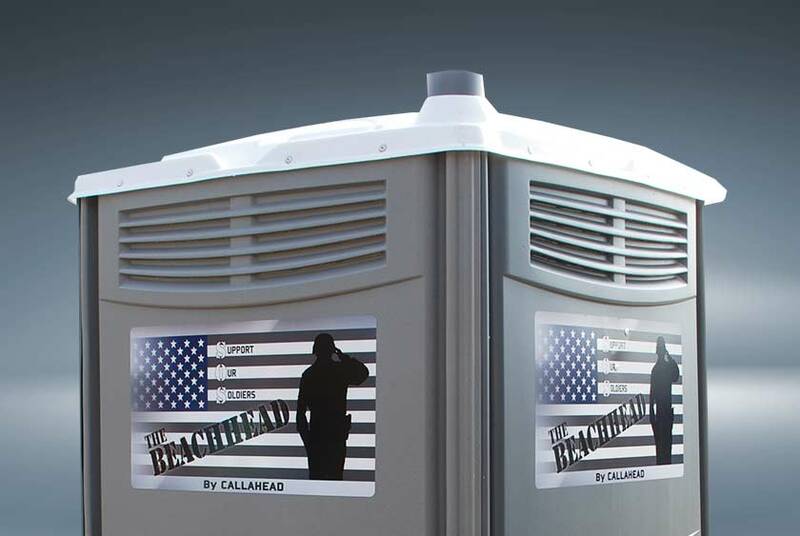 CALLAHEAD portable restroom rentals and additional accessory rental options are unmatched in the portable toilet industry. 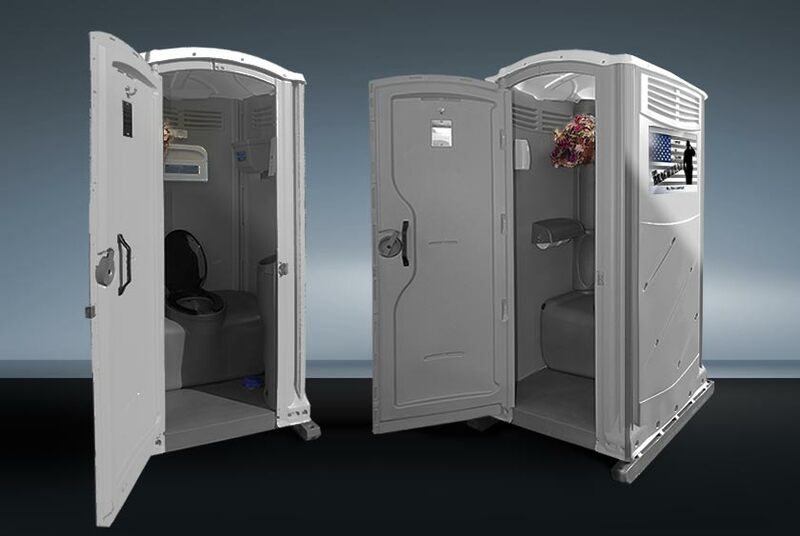 Professional Uniformed Portable Restroom Attendants are available to maintain cleanliness of this luxury portable toilet rental during your special event, so you do not have to. 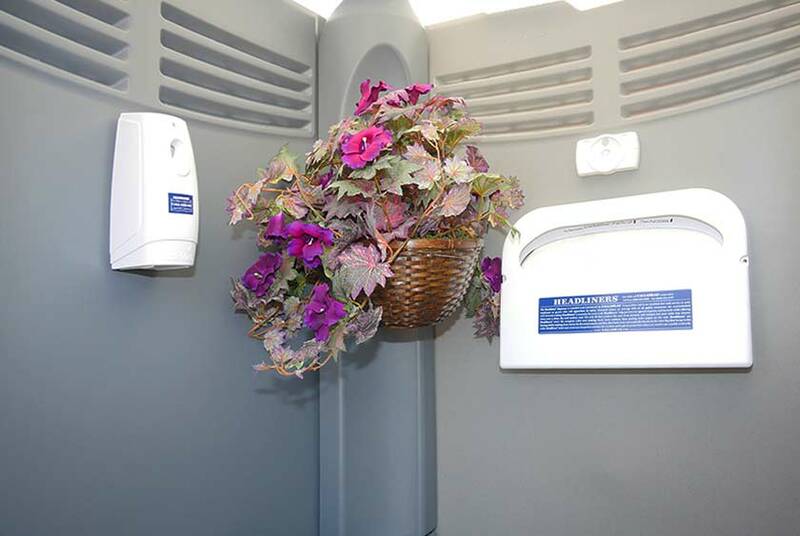 Our trained professional portable restroom attendant will clean your porta potty rental/s after each user to ensure every guest is guaranteed a fresh and clean visit to the BEACHHEAD Restroom. Uniformed restroom attendants are recommended for: When renting a large number of porta potties; renting portable restroom trailers; if you have a large number of guests and a small number of portable toilets; if your special event is either dressy, formal or black tie attire such as a wedding. The following is a list of special events where the BEACHHEAD Restroom luxury porta potty is most commonly rented. However, this portable toilet is an ideal rental for just about any outdoor special event, indoor special events with limited restroom facilities or public locations where portable restroom facilities are needed. 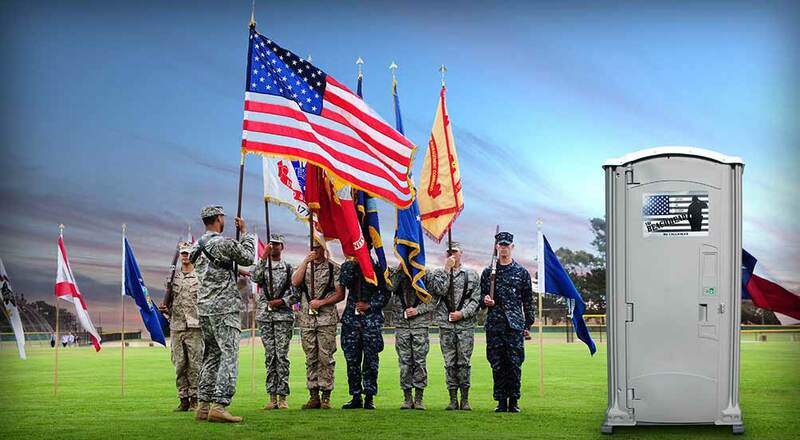 The BEACHHEAD Restroom is a special event portable toilet that delivers a VIP experience you will be proud to rent, and your guests will love to use. The name comes from the military term “beachhead” which is the temporary line when soldiers reached a landing beach by sea to defend the area. In fact, beachheads were essential in military operations in World War II and Vietnam. 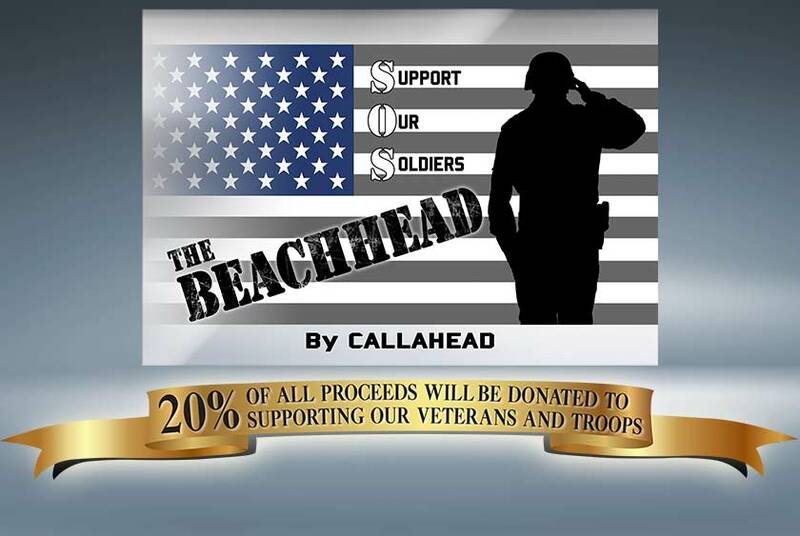 As a “thank you” to the brave men and women who served our nation, with every BEACHHEAD Restroom rental CALLAHEAD will donate 20% of all proceeds to a charity supporting our veterans and troops of the United States Military. 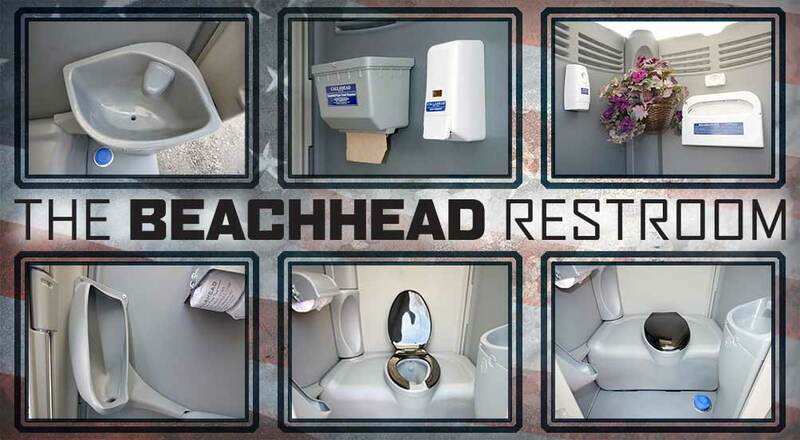 The BEACHHEAD Restroom rental gives back to our veterans while providing the best in portable restrooms. 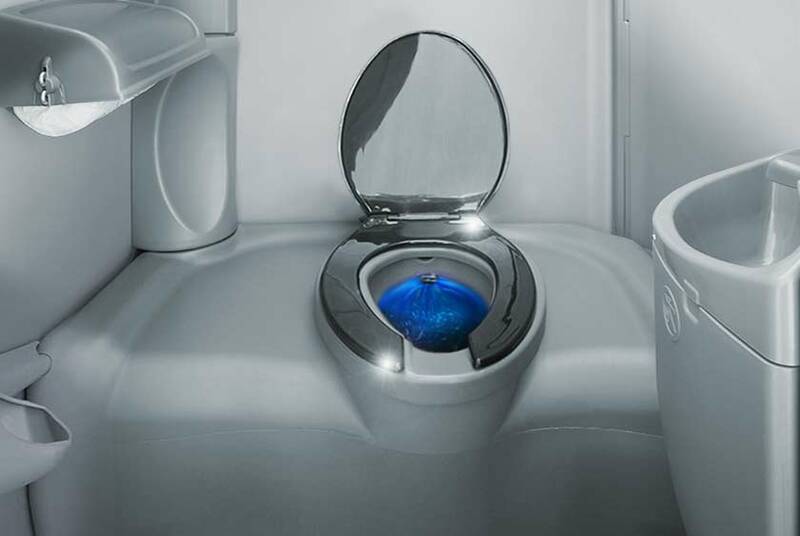 Plus, it has all the extra amenities included for a VIP bathroom experience. 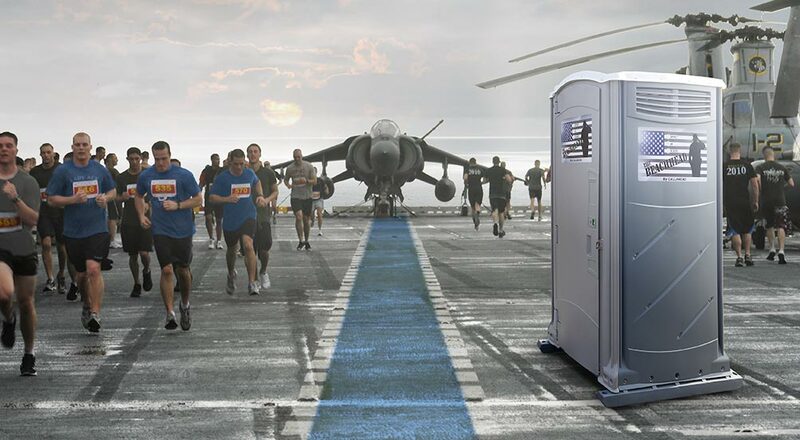 The BEACHHEAD is the perfect portable toilet rental for fundraisers or any special event in need of outdoor bathrooms. 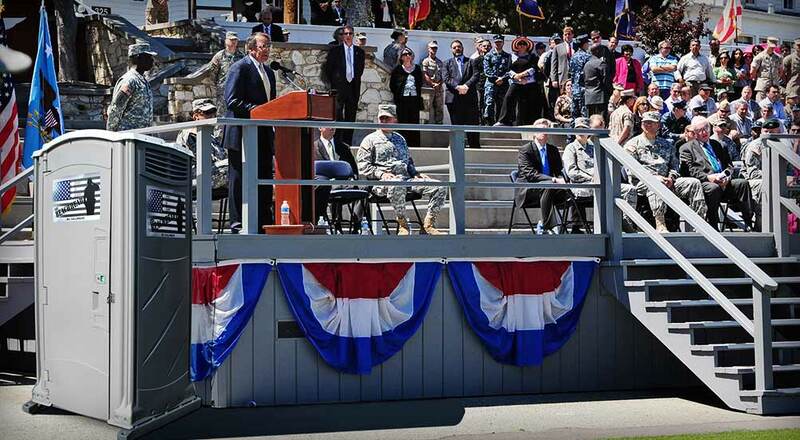 The BEACHHEAD’s exteriors signage was artistically designed by CALLAHEAD with an American Flag and silhouette of a soldier to honor the men and women of our U.S. Military. 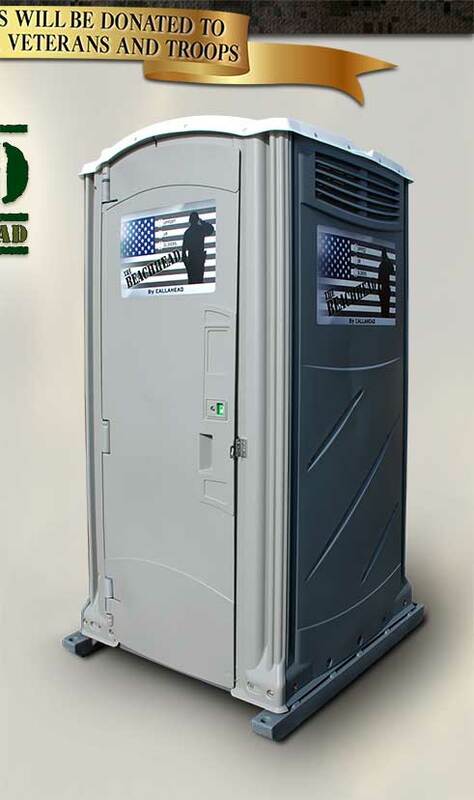 Guests will feel American pride when they see the BEACHHEAD portable restroom for their exclusive use. 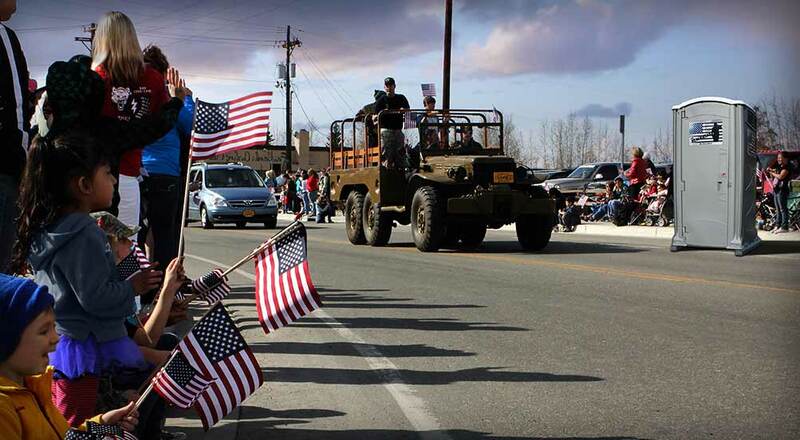 Event planners will feel even better knowing they are giving back to our American heroes who sacrificed for our country. CALLAHEAD’s BEACHHEAD Restroom is a full-service portable toilet rental that is very impressive. This porta potty includes all the comforts you would find and expect in bathrooms of the best catering halls. The gray coloring and its durable polyethylene construction resemble strength. 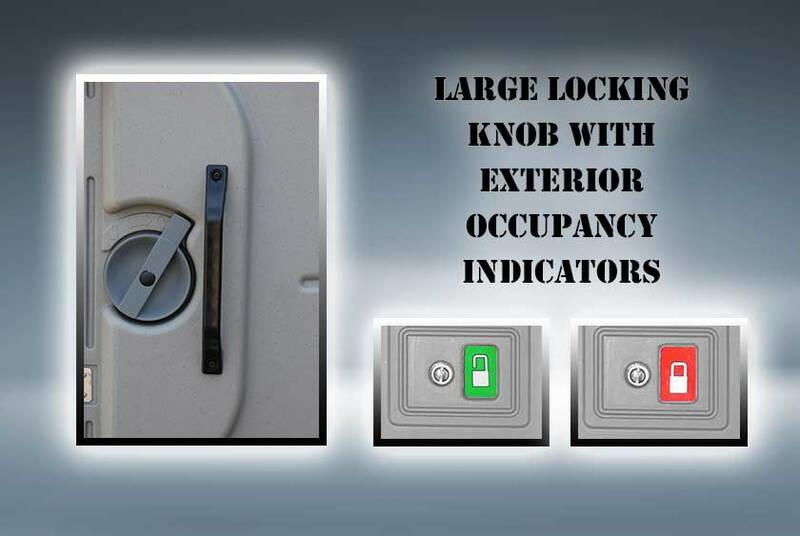 The BEACHHEAD Restroom has a self-closing spring loaded door with an internal locking system that illuminates the exterior locking sign to ensure user privacy. The interior of the BEACHHEAD Restroom is extremely spacious. 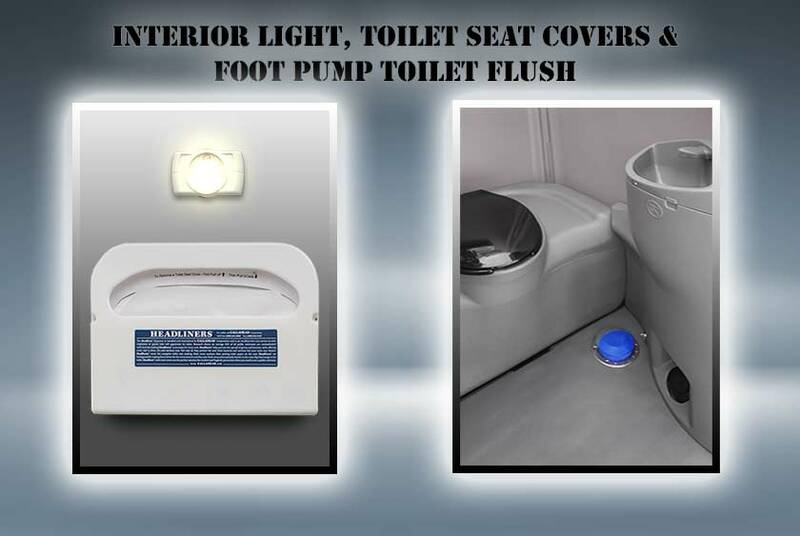 It is a private single enclosed portable toilet equipped with a full-size ﬂushing toilet bowl with foot-operated ﬂushing system for hands-free operation. The enclosed cavity tank eliminates odors and keeps waste out of sight. 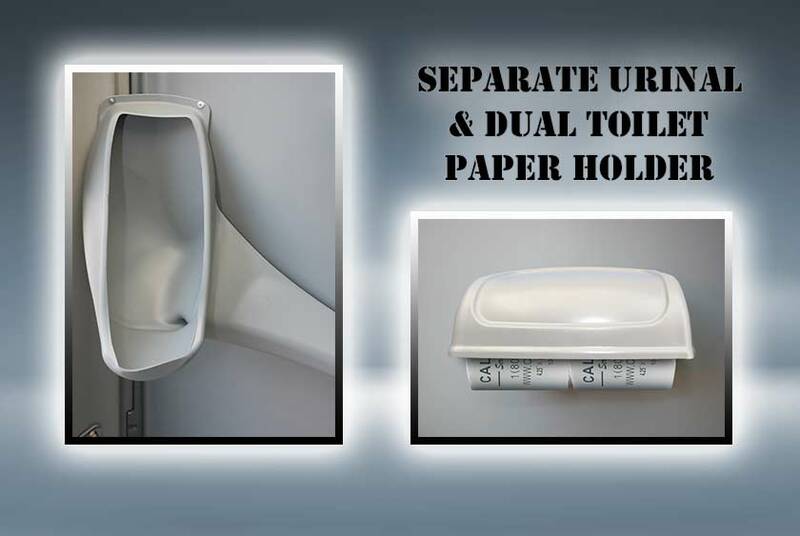 A wall mounted covered double roll toilet paper dispenser is easily accessible. 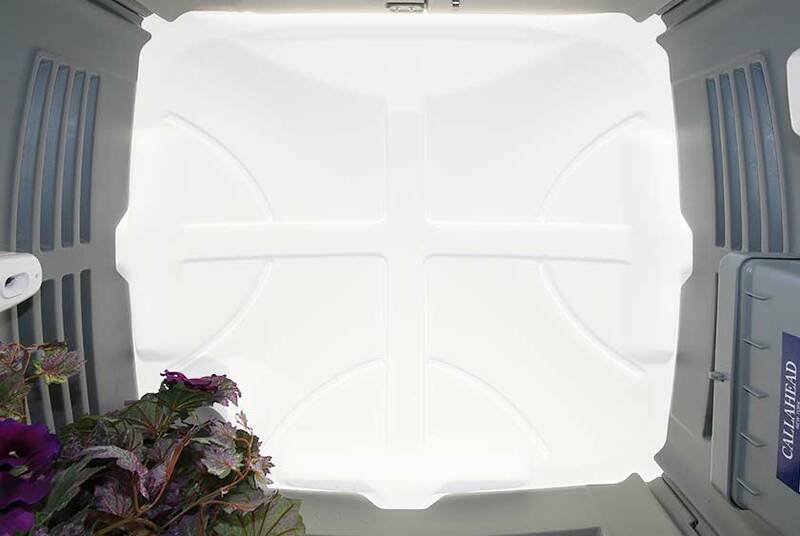 Also included with the BEACHHEAD Restroom is CALLAHEAD’s Headliner toilet seat covers to provide every user a clean, dry, and sanitary toilet seat. The separate non-splash urinal is located away from the toilet bowl. 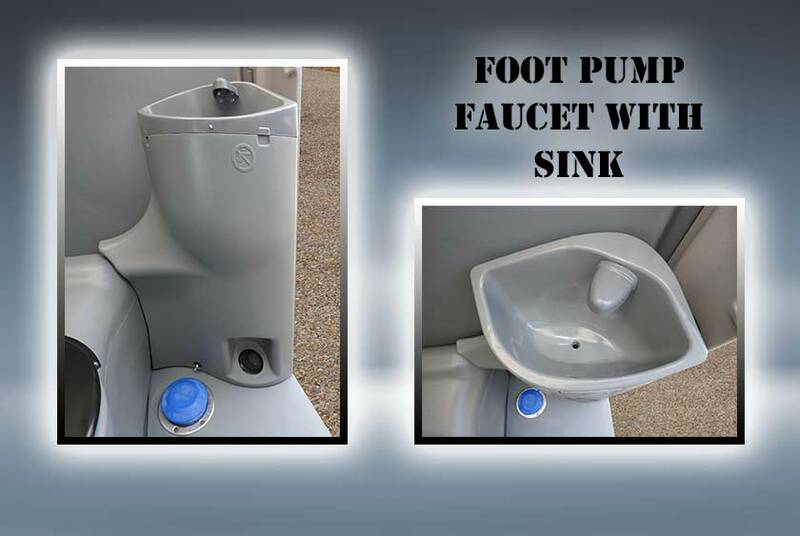 The handwashing sink also has a foot operated pump for sanitary protection. The soap dispenser is above the sink and filled with CALLAHEAD’s antibacterial soap that kills 99.9% of germs and bacteria to eliminate the spread of germs. A hand towel dispenser is mounted next to the soap dispenser. 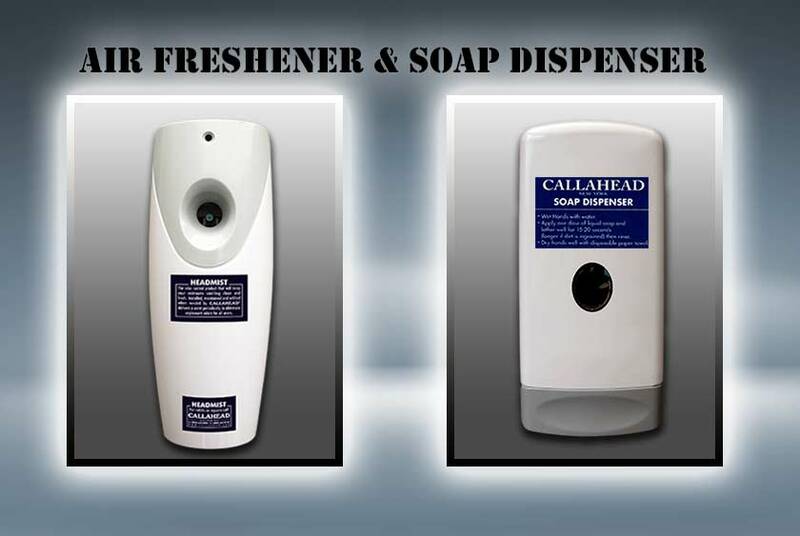 CALLAHEAD’s Headmist automatic air freshener will deliver a clean, fresh scent for every user to have a pleasant trip to the BEACHHEAD Restroom. A ﬂoral arrangement is also included to add a warm touch to the restrooms setting. Web Development by CALLAHEAD - "A Progressive Work of Art"
©2019 Callahead.com. All rights reserved.